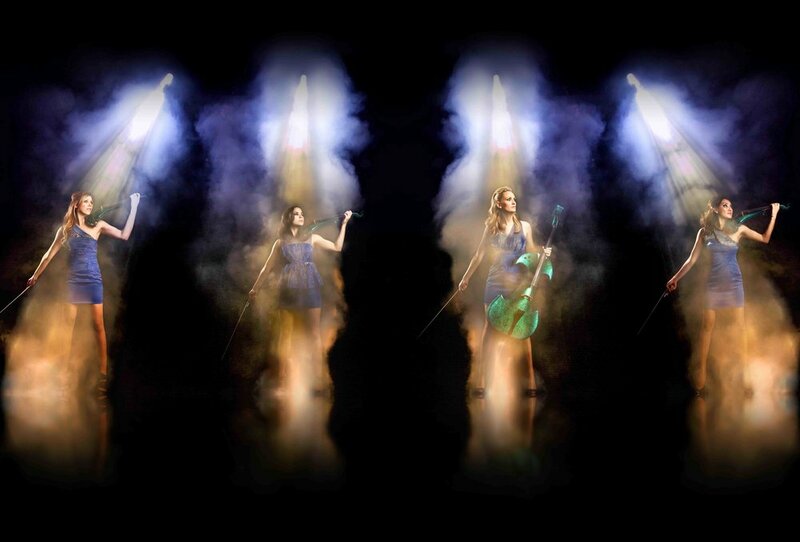 THE WORLD-RENOWNED SIREN ELECTRIC STRING QUARTET IS THE INDUSTRY LEADER IN DELIVERING HIGH END, SUPERBLY ENTERTAINING AND OUTSTANDING HIGH-IMPACT WOW-FACTOR PERFORMANCES. ONE OF LONDON'S MOST DEMANDED STRING QUARTET. The four beautiful and sophisticated Sirens are graduates from the world’s leading conservatoires, The Royal College of Music and the Royal Academy of Music. SInce they started, they have been performing together and developing the perfect stage show for any clientele and event. The girls have been the support act for Kylie MINoGue, Gary Barlow, Ben Haenow, girls Aloud and rod stewart. THEY were the featured quartet on Gnarls Barkley’s European tours, performing for 9 weeks in a row on Top of The Pops. They also starred in Mark Ronson’s music video for Valerie and are the FEATUREd string quartet for miki imai's album, Colour. THE Siren girls have performed at Wembley Stadium, at the Fuji Rock Festival , glastonbury, the Montreux Jazz Festival, and in the USA, Dubai, Abu Dhabi, mauritius, South Korea and all over Europe and the UK.